Each day during this special week we will be highlighting the filmmakers and actors that Roger championed throughout his career. A table of contents for all of our "Roger's Favorites" posts can be found here. Below is an entry on actor Whoopi Goldberg. 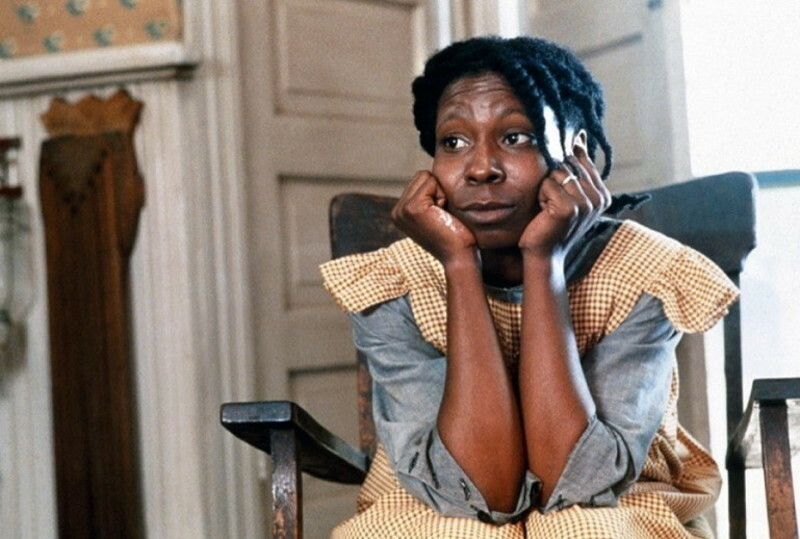 “The Color Purple” went on to receive 11 Oscar nominations, but didn’t take home a single prize. Goldberg soon found her talent wasted in a string of insulting would-be blockbusters. By the time she made the instantly forgettable “Burglar” in 1987, it was clear to Roger that her career was being destroyed. In his impassioned one-star review of the film, he claimed that Hollywood didn’t have a clue about what to do with her talent, considering that she was a black woman who looks funny and was a complete original. “They ignore all of those realities about her,” Roger wrote. “It is one thing to argue that casting directors should be color blind, but another thing altogether to cast Whoopi Goldberg in a role so impersonal that it could be filled by Robert Redford, Seka or Rin-Tin-Tin - all without a rewrite.” The critic predicted that if Goldberg continued to be offered vehicles like these, she would soon be branded as “unbankable.” “The system will have chewed up and spit out another talent who suffers from the terrible quality of being unique,” he wrote.